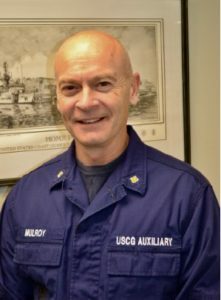 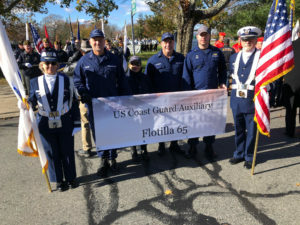 The United States Coast Guard Auxiliary is the uniformed civilian component of the Coast Guard established by Congress in 1939 to assist in promoting boating safety. 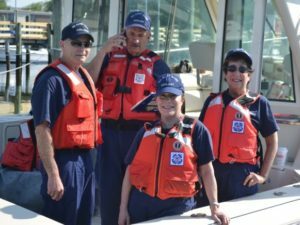 It boasts nearly 30,000 members from all walks of life who receive special training so that they may be an integral part of Team Coast Guard. Auxiliarists assist the Coast Guard in non-law enforcement programs such as public education, vessel safety checks, safety patrols, search and rescue, and marine environmental protection programs. 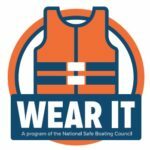 Auxiliarists donate more than 2 million hours annually to benefit the recreational boating community. 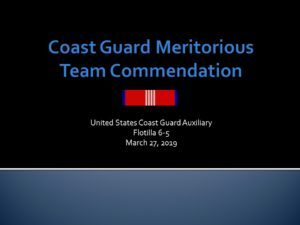 In an average year the Coast Guard Auxiliary provides 4,500,00 volunteer hours to the U.S. Coast Guard, saves 800 lives, assists 13,000 people in distress, protects $92,000,000 in property, conducts 132,000 vessel safety checks, conducts 2,000 commercial fishing vessel examinations, conducts over 86,000 marine dealer visits, provides 4,000 vessel facilities to the Coast Guard, provides 240 air facilities to the Coast Guard, conducts 16,600 public education sessions and teaches 2,800 boating safety courses. 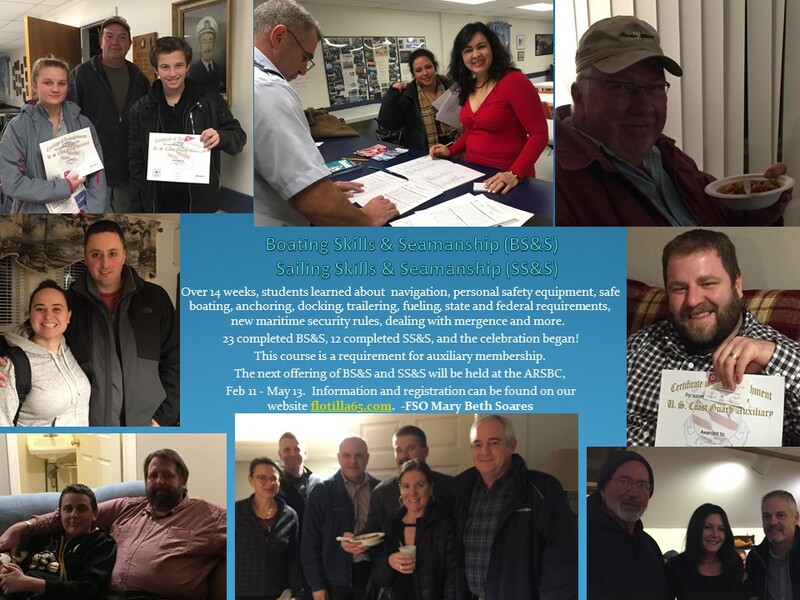 Over 14 weeks, students learned about navigation, personal safety equipment, safe boating, anchoring, docking, trailering, fueling, state and federal requirements, new maritime security rules and more.